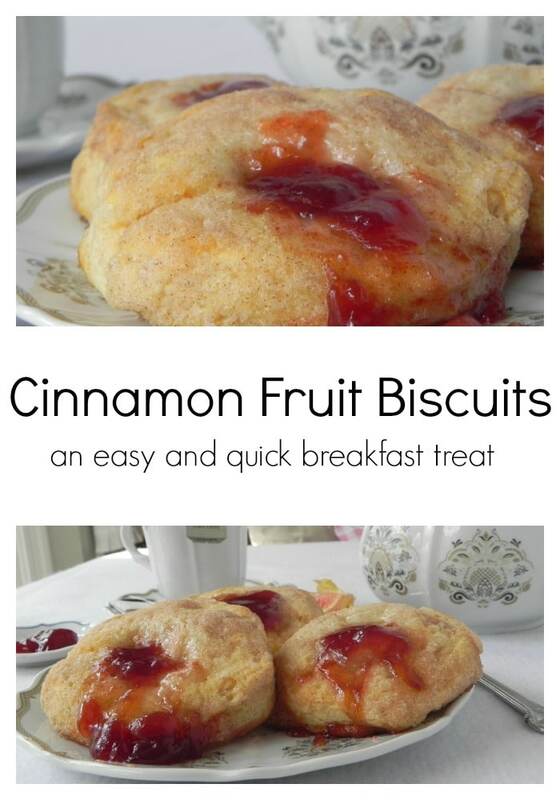 Cinnamon fruit biscuits are an easy breakfast to make for your family when you are short on time. I don’t know about you, but I am not much of a morning person. I love finding recipe that I can put on the table in about 30 minutes. I really don’t want to wake up at 3 in the morning to begin making dough for a sweet roll or bread. 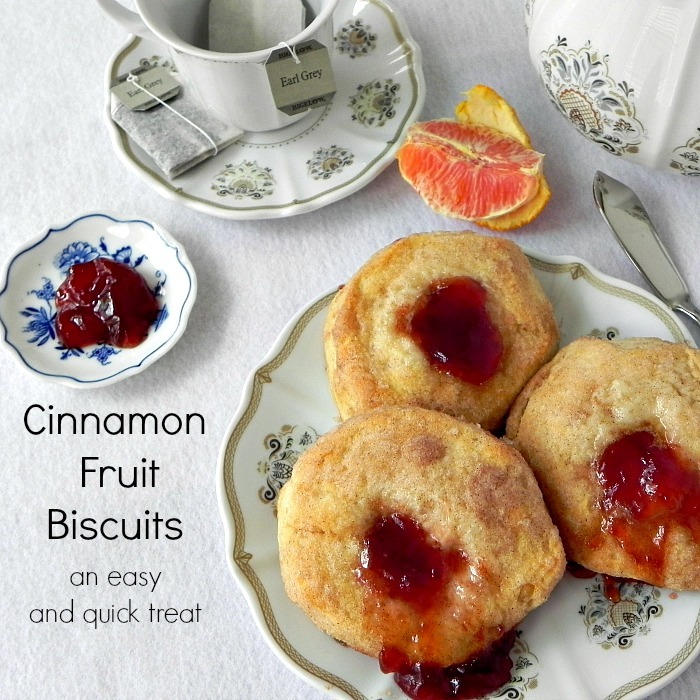 Cinnamon fruit biscuits are pretty versatile. I used strawberry jam in the center, but you could easily substitute any type of jam you have. I think the next time I make these, I will try grape and apricot jam. Oh wait – what about orange marmalade? See? 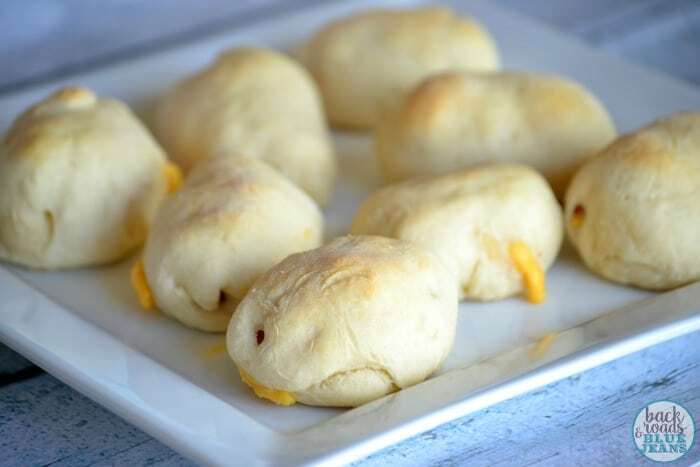 There are so many great varieties that you will have these biscuits in the oven every weekend. 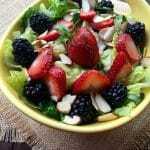 An easy recipe for breakfast or a snack. You can easily switch the jam for a different flavor. Your family will love them. In a small bowl, combine the sugar and the cinnamon. Mix well. Dip the tops and sides of the biscuits in the butter and then dip them in the cinnamon sugar mix. 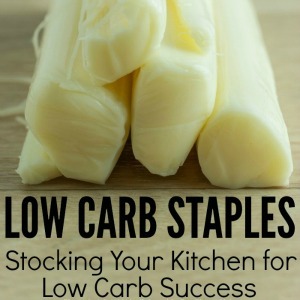 Place them on an uncreased cookie sheet and make an indention in the center. I used the end of a wooden spoon handle. 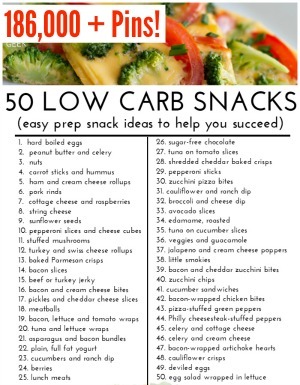 Bake at 375 for 15 - 18 minutes or until brown. Cool for around 15 minutes - the jam will be very hot. 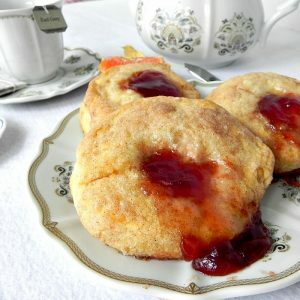 When you bite into these wonderful biscuits you will hear a little crunch! That is the mixture of butter, cinnamon and sugar. Making these without the jam in them would be good also. So easy too. 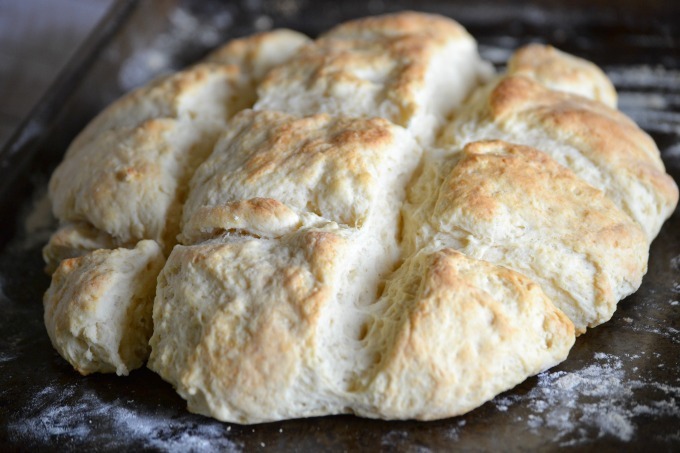 If you prefer homemade biscuits for this recipe, try our No-Fuss Biscuits. They’re amazing! My family loves breakfast and could eat it for dinner also. 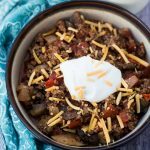 I love that because breakfast is an easy meal to prepare and I know my family will enjoy it. 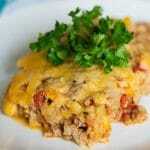 One of our favorite dishes is a Frittata dish that we make using Tater Tots – who does not love Tater Tots? 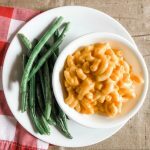 I hope you will try this recipe, as I stated earlier, you can easily change this up using your families favorite jams or leave the jam off. One thing is for sure, your family will love it!